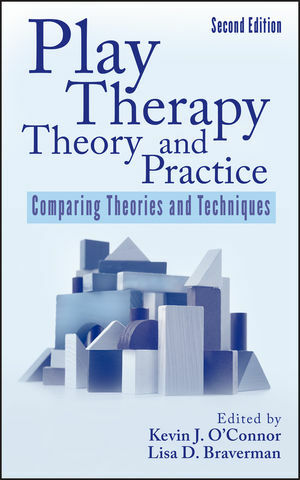 Play Therapy Theory and Practice, Second Edition is edited by one of the foremost authorities on play therapy. This new edition of the best selling book on the theory and practice of play therapy provides an up-to-date guide to the ten major approaches to play therapy. The new edition covers bipolar and ADHD diagnosis and the use of psychotropic medications. In addition, it covers the use of major models of play therapy. The therapist looking to sharpen skills and students seeking initial training will benefit greatly from this book. Kevin J. O'connor, PHD, is Professor and Director of the Clinical PsyD and PhD Programs at California School of Professional Psychology at Alliant International University in Fresno, California. Dr. O'Connor maintains a private practice treating children and their families and has authored numerous play therapy books including the Handbook of Play Therapy and The Play Therapy Primer, Second Edition, both published by Wiley. Lisa D. Braverman, PHD, is a pediatric psychologist who specializes in the areas of oncology, child abuse, and trauma. She also treats children, adolescents, and their families on an outpatient basis. Orientation to the Text: The Case of Jason L. (Kevin O'Connor, Lisa Mages Braverman). Chapter 1. A Psychoanalytic Case Study (Anna C. Lee). Chapter 2. Jungian Analytical Play Therapy (Eric Green). Chapter 3. Child-Centered Play Therapy (Daniel S. Sweeney, Garry L. Landreth). Chapter 4. Filial Therapy (Risë VanFleet). Chapter 5. Cognitive Behavioral Play Therapy (Susan M. Knell). Chapter 6. Adlerian Play Therapy (Terry Kottman). Chapter 7. Gestalt Play Therapy (Felicia Carroll). Chapter 9. Ecosystemic Play Therapy (Kevin O'Connor). Chapter 10. Prescriptive Play Therapy (Eliana Gil).